The former Pianoforte factory site is located to the south of the village of Roade in Northamptonshire. The site was closed in 2010. The site at closure covered over 11 hectares, consisting of a range of offices, warehouses and workshops. The site is being developed for residential purposes. contaminant of concern was identified to be hexavalent chromium (Cr VI). Hexavalent chromium typically exists in an anionic form and is consequently very soluble and mobile within groundwater. 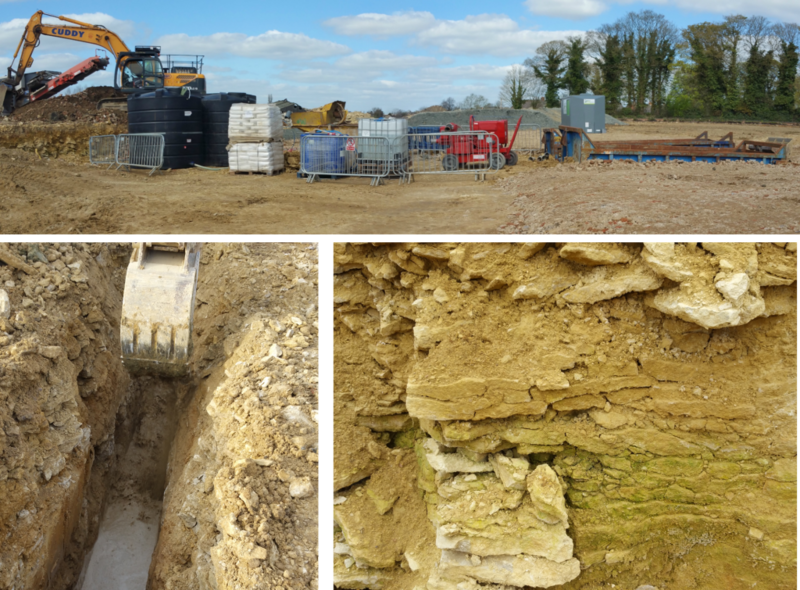 Stage 3 – Treatment of the source contamination in the Former Plating Shop Area (predominantly contaminated soils).